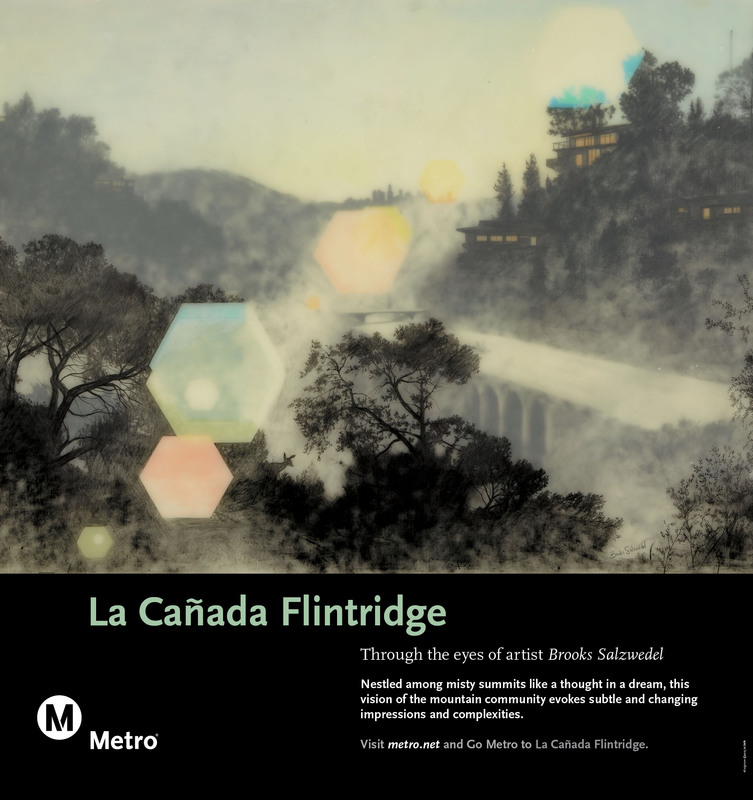 The artist saw La Cañada/ Flintridge as an emerald city floating above Los Angeles with beautifully tree lined streets with unique sunlight afforded to mountain sides. 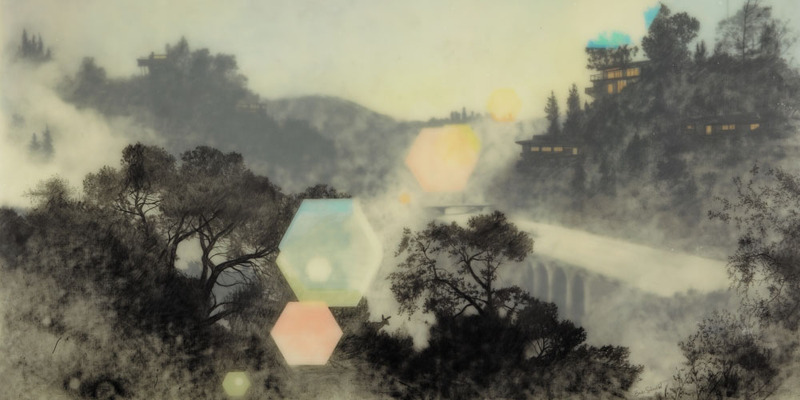 Brooks Salzwedel was born and raised in Southern California and has had his work published in New American painting, Juxtapoz magazine, The New York Times and ArtWeek. He has exhibited at the Hammer Museum, London Fine Art Fair and the George Billis Gallery. He participated in the Denali National Park Artist Residency in Alaska and received a Bachelor of Fine Arts from Art Center College of Design.